Look what came in the mail Friday. Who says blogging and/or begging doesn’t pay? May I coin the phrase “blegging”? 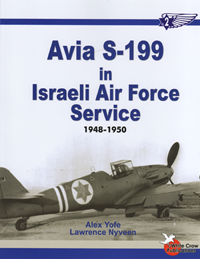 Coincidentally, this past week, I found video footage of Israeli Spitfires in action (click the link for the MPEG). These are 101 Squadron Spitfires in 1949. The bare-metal Spitfire you see taxiing in the clip is not Black 10. 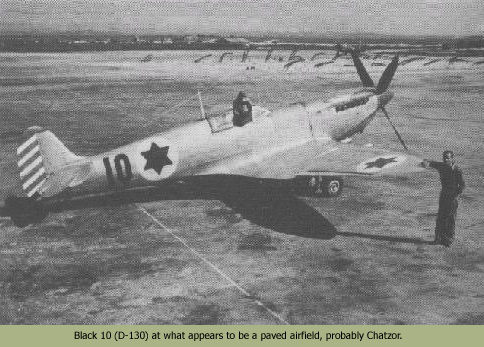 I think the airfield is Ramat David, but I’m not sure of that. Totally works. Your immortality is assured. Alas, a simple search on Google reveals that my idea was only a parallel, and later, invention.